Our Annual Spring Drawing continues today thru Saturday, May 4, 2019. Get your tickets today by sending us a private message on FACEBOOK or send email to rr@ritasrainbows.org. Suggested Donation is $5.00 each or 5 tickets for $20.00. All proceeds benefit Rita’s Rainbows. Thank you for your support. 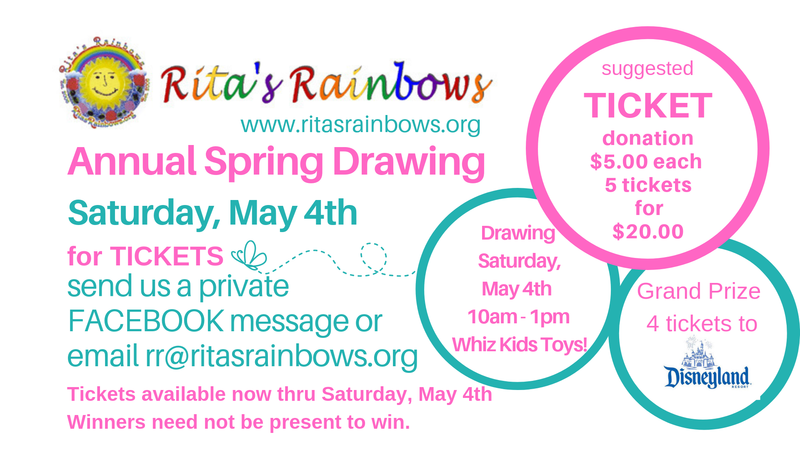 Drawing at Whiz Kids Toys! Winner need not be present!